Love the pillow, beautiful quality! There was a small issue with the order, but it was corrected swiftly and without hassle. Would definitely order again! Thank you! I love this pillow! 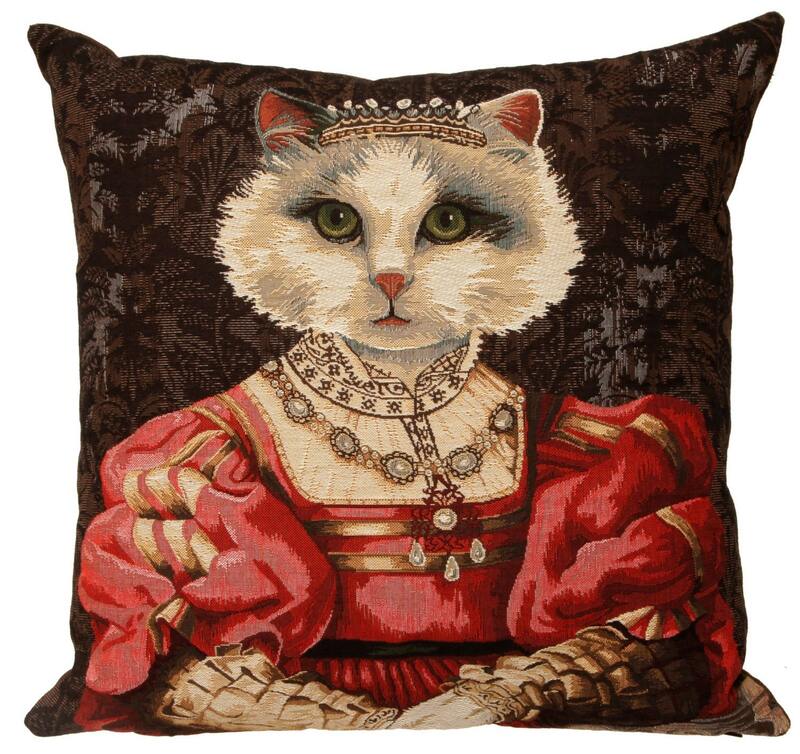 I ordered the royal portrait white cat with red dress and crown pillow cover because the colors compliment my room, but also as an homage to my sweet little feline queen. The pillow fabric is luxurious while also durable. It’s so very well made and I expect I’ll enjoy this for many years. This was a good choice! 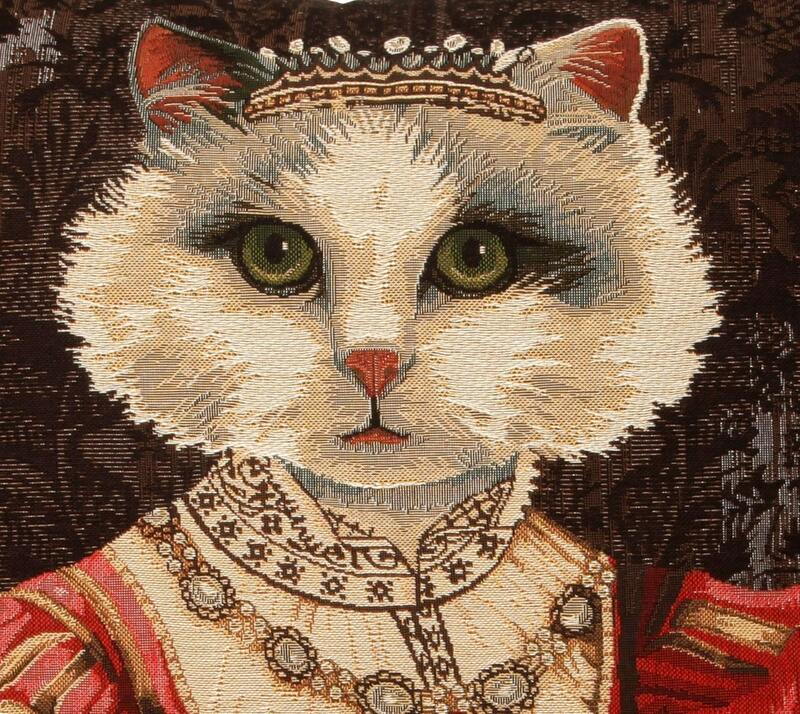 Beautiful tapestry item. Just right for my sofa!